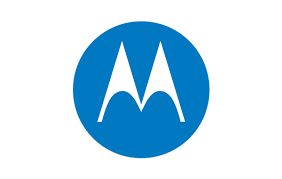 Motorola Solutions Inc (NYSE: MSI) stock rose over 14.1% on Feb 8th, 2019 (as of 10:30 am GMT-5; Source: Google finance) though the company posted better than expected earnings for the fourth quarter of FY 18. Motorola swung to a profit in the December quarter of $423 million from a loss of $575 million, in the prior-year period, when the communications-technology company recorded tax-related charges tied to federal tax-law changes. MSI in the fourth quarter of FY 18 has reported the adjusted earnings per share of $2.63, beating the analysts’ estimates for the adjusted earnings per share of $2.53, according to FactSet. The company had reported the adjusted revenue growth of 15 percent to $2.25 billion in the fourth quarter of FY 18, beating the analysts’ estimates for revenue of $2.22 billion. The growth is driven by growth in the Americas and EMEA. Approximately $159 million was related to acquisitions, and $25 million was related to the adoption of ASC 606. The Products and Systems Integration segment grew 16 percent driven by the Americas and EMEA. The Services and Software segment grew 12 percent with growth in all regions. Non-GAAP operating margin was 28.8 percent of sales, compared with 28.9 percent in the year-ago quarter. Higher gross margins were offset by higher operating expenses related to acquisitions. Moreover, the company ended the quarter with backlog of $10.6 billion, up $988 million from the year-ago quarter inclusive of a $205 million unfavorable currency change. Services and Software backlog was up 18 percent or $1.1 billion primarily due to growth in the Americas and the Airwave contract extension through the end of 2022. Products and Systems Integration backlog was down $116 million primarily on two large system deployments in the Middle East and Africa. Products and System Integration backlog grew in the Americas and AP. During the fourth quarter, the company paid $85 million in cash dividends, repurchased $66 million of common stock and repaid the remaining $100 million on the revolving credit facility. Motorola expects revenue to rise 11% in the first quarter compared with the year-earlier quarter and adjusted earnings to be in the range of $1.11 a share to $1.16 a share for the period.